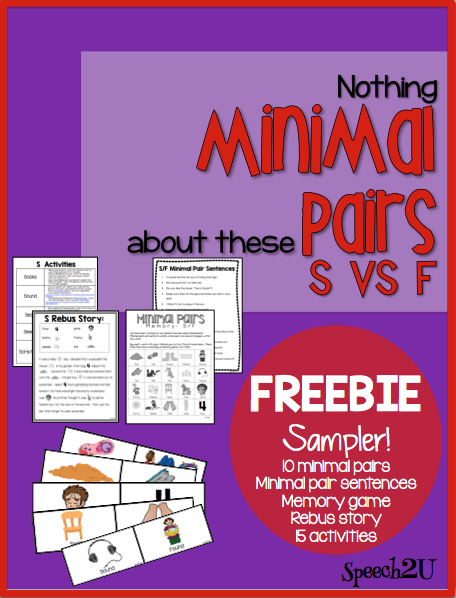 Speechie Freebies: Minimal Pairs Freebie! Do you use minimal pairs in therapy? I love to use them with my clients who have a hard time discriminating sounds in their speech. I'm really excited to be sharing this freebie with you-I think you will love it! 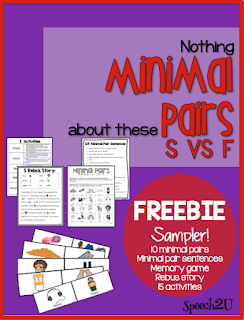 Head on over to Speech2u to see how I use minimal pairs in therapy and pick up a freebie sampler of /s/ vs. /f/ minimal pairs.